hello, guys in this today’s posts you can expect more than past posts and here one thing is so many people are having better friendships but in sometimes they can’t talk each other because of some matter and in that time you can express your feelings with this pictures and quotes.Best Friendship Quotes for Express your Feelings.Nowadays we all are using social media like Facebook,WhatsApp,hike and so on.You can add this pictures to your WhatsApp Dp’s(display picture) and profiles to your hike in this way you can express your feelings to your friends and also you can add this type of pictures are used to share your friend’s feelings.Friends why are you stay in this paragraph go and select your picture whatever in your mood that is and download that picture and add to your social media. 1. 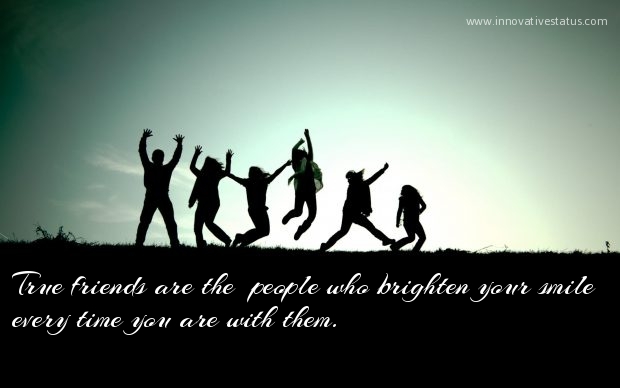 True friends are the people who brighten your smile every time you are with them. 2. Friendship is born at the moment when one person says to another thought I was the only one. 3. A true friend never gets in your way unless you happen to be going down. 4. Friendship is not something you learn in school.but if you haven’t learned the meaning of friendship,you really haven’t learned anything. 5. 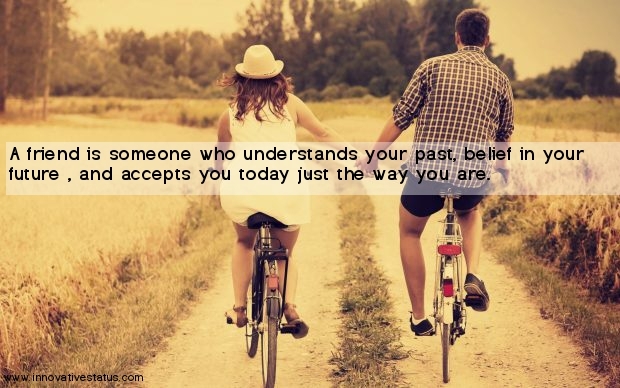 A friend is someone who understands your past, belief in your future , and accepts you today just the way you are. 6.friends are like stars they come and go, but the ones that stay are the ones that glow. 7. A friend is someone who can see the truth and pain in you even when you are fooling every on else. 8. The best mirror is an old friend. 9. Friendship doubles your joy and divides your sorrow. 10. 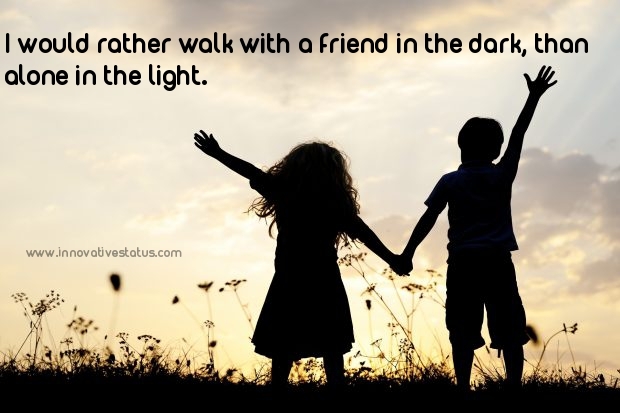 I would rather walk with a friend in the dark, than alone in the light. 11. Great friends are hard to find, difficult to leave, impossible to forget. 12. True friends are never apart. maybe in distance,but not in heart. 13. A single rose can be my garden, a single friend is my world. 14. A friend is someone who gives you total freedom to be yourself. 15. Friends are like money in the bank, the longer you keep them, the more they are worth. 16. Beware when you are judging you, friends, they may be judging you first. 17. A friend is someone who listens when you speak, understand when you cry and guides you on your way. 18. Our paths may change as life goes along , but the bond between friends remains ever strong. 19. Friends are the roses of life. pick them carefully and avoid the thorns. 20. If I die today or even tomorrow I will have no regrets if you tell me you’re my friend. 21. If all my friends were flowers, I would look around and pick you. 22. Friendship is a warm feeling which comes from the inner core of the heart it cannot be bought or sell. 23. Your best friends are going to hurt ;you every once in a while, you must forgive them for that. 24. Friends are the sibling’s god forgot to give us. 25. Square has four ends triangle has three ends life has one end but our friendship has no end. 26. A good way to differentiate love and friendship without you I cannot live is to love you must live, I am with you is friendship. 27. The best cosmetic for the lips is a truth , for the voice is prayers, for the eyes is a pity, for the hands is charity and for the life is friendship. 28. Golden rules to feel happy meet a friend, call a friend, talk to a friend, hug a friend ad love a friend. 29. Don’t ever think that you can live without a friend. a friend is the best thing in the world. 30.”Friend is an incurable disease which will finish after the death”. Innovative Status Copyright © 2019.